Q: When will the closed beta start? 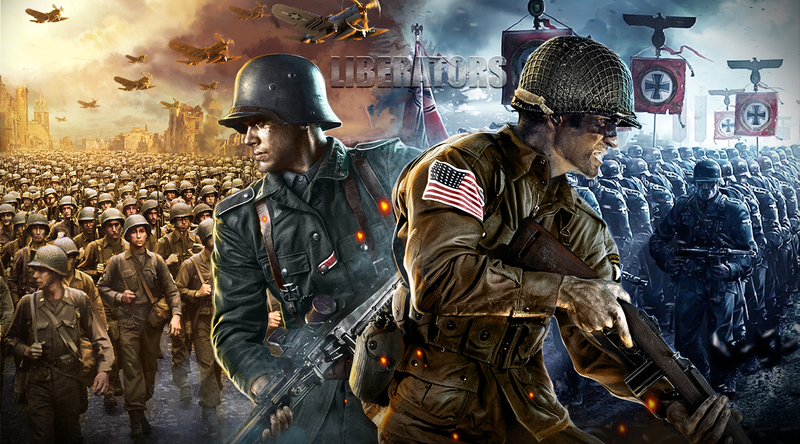 A: Liberators will start the closed beta in December 2015. Sign up now to gain free gift packs for the CBT! Q: Will there be a data wipe after closed beta? A: Yes, there will be a data wipe after closed beta. Q: Can I buy Warbonds in the closed beta? A: Recharge is unavailable during the closed beta. 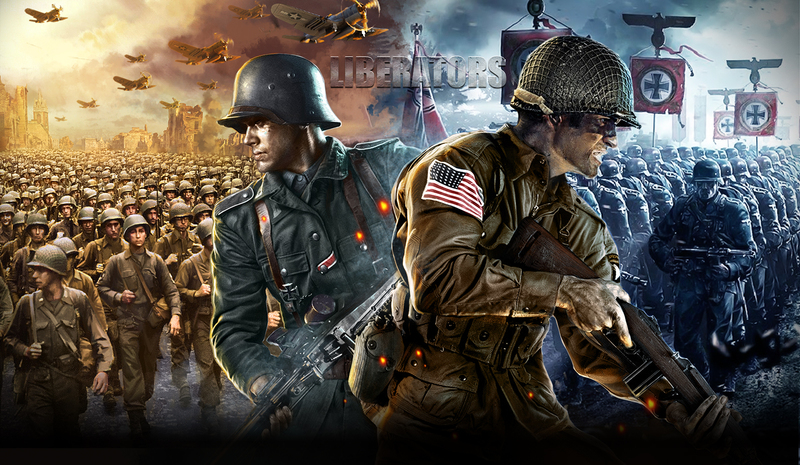 You can earn sufficient War Bonds by completing Missions and Hot Events. Q: I want to communicate with other players, where should I go? A: Go to the official community page and share your ideas or problem with others in the forum. Q: What should I do if I encounter a problem in game? A: Post about your problem in the official forum. Q: What’s the highest level I can reach during the Closed Beta? A: In this version the highest level will be lvl.60. Q: Can I trade with others in-game? A: This function isn’t available for the time being. Q: How can I enter the game? Enter account and password info, then select a server and enjoy the game! Enter the required information and click sign up. Q: How do I get my account back if I forget my password? A: Click the Forgot password button on the login page and enter the email that you used to sign up. 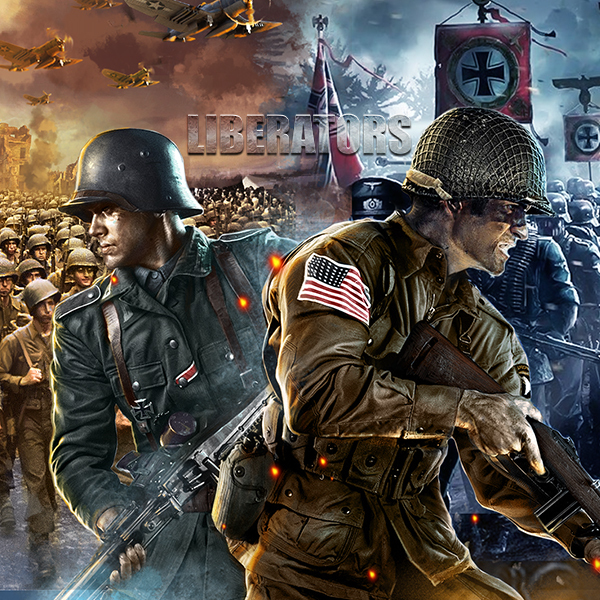 Q: How do battles work in Liberators? 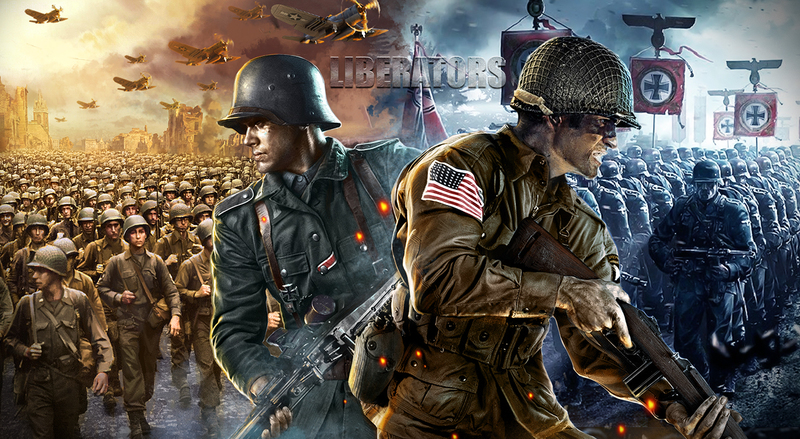 A: Liberators is a turn-based strategy game. During the battle, players mainly have to concentrate strategic commander formations, the fighting itself is automatic. Q: How many commanders can be on the battlefield at the same time? A: A formation can consist of up to 5 Commanders. Q: Can commanders trigger special skills during the fighting ? Do I have to trigger them manually? A: Each commander will release his/her unique skill automatically when their morale bar reaches 100. The selected Army Captain will receive a 50 point morale boost at the beginning of the battle. Q: How can I recruit a commander? A: The most popular way is to train with the commander and collect Commander Points. The points can also be found in the Recruiting Office. Besides these 2 ways, you can also visit the pub and buy commanders drinks to get more points. Q: What are the basic Commander stats? A: Commanders rely mainly on 3 attributes: Leadership, Intelligence and Strength. Leadership determines number of troops and Defensive prowess, Strength determines Attack and Defense capabilities, Intelligence determines Attack and Speed. Q: How can I upgrade a commander's star rating? A: Collect the required amount of Commander Points to upgrade his/her star rating. Once upgraded, commanders usually become much more powerful with improved skills and stat boosts. Q: Can I change a commander’s skill or upgrade it? A: A commander’s skill can’t be changed, but it can be improved! After upgrading a skill, your Commander will become much more powerful. Q: How can I level up my Commanders? A: Commanders can gain experience after every battle. If you want faster results, you can use EXP Books to get them there quicker. Commanders cannot surpass the player's total level. Q: What does equipment do? A: Each commander has an assigned units, and units can be equipped with 4 different items. After collecting the 4 required items, you will be able to upgrade to new unit equipment. Q: Where can I get equipment? A: Best way to get equipment items is by killing enemy's in Soldiers of the Reich. You can also produce them in your base or buy them in various shops. Q: How can I upgrade Unit Equipment? A: After equipping Commander Units with the required items, players can level up to the next equipment grade in order to boost unit stats. Q: How many different units are there in the game ? A: Currently, there are 10 different units: Riflemen, Machine Gun, Sniper, Paratroopers, Bazooka, Mortar, AT Gun, Recon, Tank and Artillery. Q: Can I change a commander’s unit? A: No, Commander Units are set and cannot be altered. Q: How can I find my base? A: The base will be open to players as soon as they begin playing the game. Q: What can I do in my base? A: The base can help you improve your army in countless ways: recruit commanders, produce items and resources, get supplies, buy rare items, etc. Q: Can I change the position of buildings in my base? A: Yes! A good base will not only produce tons of resources and supplies, it will also look beautiful and unique. A: You need to be part of an Alliance if you want to join an Alliance War. Alliances between ranks 1-2 needs its leaders to declare war on other alliances. Higher ranks have no such limitations. Q: How can I win the battle as the offensive side? A: Destroy the headquarters of the city defenders. Q: How can I win a battle as the defending side? A: The priority of the defending side is to protect its headquarters from destruction. If there has been no attack on the battlefield for 3 minutes, the defending team will win.